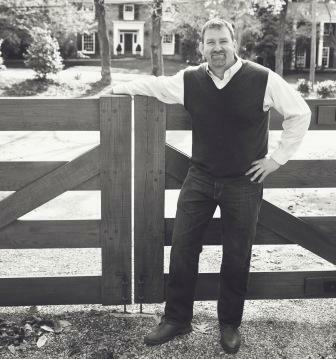 Shaun Logsdon is a licensed Auctioneer in the state of Kentucky, Indiana and Tennessee as well as a licensed Real Estate Broker and Realtor in Kentucky. Shaun is a proud member of the Board of Directors for the Kentucky Auctioneer's Association, a member of the National Auctioneer’s Association, National Association of Realtors and the Greater Louisville Association of Realtors. Logsdon was recently named the 2014 KENTUCKY STATE CHAMPION AUCTIONEER and was awarded the Ambassador Award at the 2013 ROSE Awards in Louisville by the Louisville Convention and Visitor's Bureau for his countless work with local charities. Most recently Shaun served as the Auctioneer at the 52nd Annual Kentucky Farm Bureau Ham Breakfast where the KY State Fair Grand Champion Ham was sold at Auction for $400,000. After growing up in Grayson County, Kentucky Shaun went on to obtain his B.A., in Communications from Kentucky Wesleyan College where he was also a 1st Team All-American on the Football Team and a member of the Division II National Champions Basketball Team. Immediately following Logsdon attended Ward Elliot’s Institute of Real Estate. After receiving his real estate license in 2001 Logsdon quickly developed a passion for the auction industry and obtained his auction license the following year in 2002. Since that time Logsdon has been involved in hundreds of real estate transactions sold through the auction method and worked with dozens of real estate offices across Kentucky and Southern Indiana. In addition Logsdon served as the Principal Auctioneer at Showcase Auction Center in Mt. Washington, Kentucky for over 2 years where he gained a tremendous amount of experience selling personal property at auction. During that time Logsdon conducted and performed over 100 personal property auctions. Logsdon too, has been an integral part of the Clark County Auto Auction Team for the past 8 years. Clark County Auto Auction is the largest public auto auction in the Midwest and sells between 500-700 automobiles every Wednesday night. Shaun also works with other Auto Auctions in the region including Louisville and Nashville Manheim. Beyond his experience in Real Estate, Personal Property and Automobile Auctions Logsdon finds it extremely important to stay connected with the community by working with numerous charity and non-profit organizations. As a result Logsdon founded Premier Benefit Auctions which focuses on consulting with these groups in order for them to take their fundraising goals to the next level. Shaun has worked with over 80 different organizations throughout his career such as the Cabbage Patch Settlement House, Ronald McDonald Charities, Crusade for Children, National Kidney Foundation, Familes for Effective Autism Treatment, Family and Children’s Place, Prodigal Ministries, The Healing Place along with the American Red Cross just to name a few. By working with these groups Shaun has helped raise more than 8 million dollars behind the microphone in just the live auction and special appeal portions of these events. According to Logsdon, there is nothing more amazing than to witness the generosity of members of the community when they reach deep in their pockets to give in support of each respective organization or cause. Shaun has quickly earned the reputation as one of the premier benefit auctioneer's among Louisville and surrounding areas.